If you're like most CPAs, you're evaluating whether the new revenue recognition standard is a game changer for you and your clients. Are your current methods still okay? Will your accounting software measure up? Will your financial statement users see drastic changes? How much time, money, and personnel will it take to comply? One thing is certain: we can expect far-reaching impacts from the converged FASB/IASB revenue recognition standard. The new rules replace nearly all of the current GAAP and IFRS guidance and require significant accounting judgment regarding necessary changes to accounting processes and systems. The standard's pervasive nature calls for significant planning before its 2017 effective date. Companies must address the transition beginning now, especially for retroactive application and presentation of comparative statements. This course, presented by Ray Thompson, Bill Engelbret, and Janice Rummell, will help you decide what actions you must take now to prepare for implementation. Dr. Ray Thompson, CBA, CFM, CMA, is an emeritus associate professor of accounting and finance at the University of Pittsburgh. 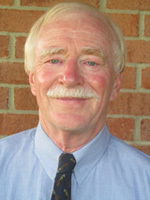 He served as department head at the University of Pittsburgh at Johnstown (UPJ) campus for over 25 years. He was the associate director of UPJ’s Entrepreneurial Development Assistance Project, where he was involved in financial consulting and assisting in preparing loan proposals for small business start-ups. He has taught in graduate and undergraduate business programs in Europe, Africa, and the United States. Ray received his BS and MS degrees in economics and systems dynamics from the University of Bradford in the United Kingdom, his MBA in accounting from Xavier University in Ohio, and his PhD in business administration from Nova University. Ray is also certified in financial management and is a certified management accountant (CMA), a certified business appraiser (CBA), and holds the accredited valuation analyst credential from the National Association of Certified Valuators and Analysts (NACVA). He recently became certified in IFRS though the Institute of Chartered Accountants in England and Wales. Ray teaches at Western CPE conferences and produces both self-study and webcast courses as well. He also authors and conducts professional development seminars for Fortune 500 and international corporations, multinational financial institutions, state CPA societies, and CPA firms throughout the United States. In addition, Ray provides business valuation services and consults with accounting firms and sole practitioners on a range of accounting issues in the area of valuation. He’s a faculty associate member of the AICPA and the Pennsylvania Institute of Certified Public Accountants (PICPA) and a member of the Financial Reporting Faculty of ICAEW. Cite areas where current industry-based GAAP has been superseded or changed by ASU 2014-09. Identify differences between the earnings-based and contract-based models for revenue recognition and define the terms related to each. Identify a contract as set out in ASU 2014-09. Cite the rules-based and principles-based approaches to recognizing revenue. Identify a performance obligation as set out in ASU 2014-09 and identify the appropriate accounting treatment based on combining or separating them. Recall the differences between the earnings-based and contract-based models for revenue recognition and define the terms related to each. Identify performance obligation as set out in ASU 2014-09 and identify the appropriate accounting treatment based on combining or separating them. Cite transition timing and implementation guidance. Identify earnings-based and contract-based models for revenue recognition and define the terms related to each. Recognize a contract as set out in ASU 2014-09 and determine the appropriate capitalization or expenses of various items within the contract. Identify appropriate disclosures for revenue under the new standard. Identify elements of the contract and determine the appropriate treatment of these elements under the new standard. Recognize a performance obligation as set out in ASU 2014-09 and identify the appropriate accounting treatment based on combining or separating them.